You have had an Open Umbilical Hernia Repair. This just means your hernia was in the belly button region, and sutures were placed to repair the hernia. After having your hernia repaired, there are no limitations on your diet. After the surgery, you may feel full or nauseated easily. This is usually due to the anesthesia during the operation. If it persists beyond one or two days, you should call the office for advice. The incisions have “Steri-Strips” (or small tape) across them, and a plastic adhesive dressing over the top to protect them from water. You may wash over the plastic dressings in the shower. Please do not soak in a tub or bath as this may loosen the plastic dressings and they may fall off, leaving the incisions exposed. After about 48-72 hours, the incisions in the skin are watertight, but they are still very weak, so it’s important to protect them for about 7 days. Leave the plastic dressings on for at least 72 hours after the operation. You may remove the plastic and underlying gauze after 72 hours, but leave the Steri-Strips in place. You may then wash gently with soap and water over the Steri-strips, but be sure to dry them well after your shower. If the Steri-strips have not fallen off by themselves in 7 days after your surgery, you may remove them. Your activity level should be reduced the first two weeks after the surgery. The incisions are about 60% strength of normal tissue at 6 weeks. We generally advise not to lift anything more than 15lbs. for 6 weeks. You can increase your activity after the first two weeks. I often advise to “let pain be your guide” in your recovery. This just means you can steadily increase your activity as long your pain is under control. Often after surgery you may have a few days where you feel really well. This is usually when people increase their activity level and the following day feel very sore or very tired. This is normal. It’s OK to do this, just be aware you may experience these “ups and downs” for a few weeks. Just as long as you are improving from week to week, you are on the right road to recovery. If you should have fevers, chills, increasing nausea, vomiting, abdominal pain or an increasing bulge in the incision area please contact the office. If you have any other questions or concerns during your recovery, please do not hesitate to either email or call us at anytime. Our phone system electronically and immediately alerts us to new messages 24 hours a day, 7 days a week, so if you do call after hours please leave a message and someone will return your call. Please call the office to make your post-operative appointment 7-10 days from the surgery. If you are looking for Laparoscopic Appendectomy Post-Op Instructions click here. P.S. Please leave any comments or questions for me below and I will try to answer them for you. Thanks! I had umbilical hernia repair with mesh April 8 2013. Here it is 8 months later and I have severe pain and it looks like one of my incision scars is trying to bust open. What do I do? I think it’s probably best to see your doctor. It’s tough to tell what exactly is going on via email. I am doing very well in recovering from the actual surgery, but I am experiencing a lot of mucus in my stools. I am affraid to pass any gas for fear of having an accident. It it normal to has mucus after Umbilical hernia surgery? Is scar tissue normal after an umbilical hernia surgery and how long does it take for the hardness to fully soften up? Is there anything I can do to speed up the process to help soften it? The hard scar tissue is totally normal. It usually softens up in 2-4 months or so. Scar tissue changes for up to two years but most of that change is in the first year. The itching is also normal healing. That should improve in about 2 months. Hey there, I too have just had an umbilical hernia repair 4 weeks this Tuesday coming. Im itching to get back to working out. I have spoken to the nurse (unfortunatly left notes to the surgeon but not got back to me yet) who answered a few questions. Just wondered whether you could also help. I do Spinning and weights. She said that I could do gentle spinning as from week 4, but that also I couldnt do even body weight exercises until at least after 6 weeks, is this right? When can I start to do ab work again also? I know that I cant do weights for a long time. 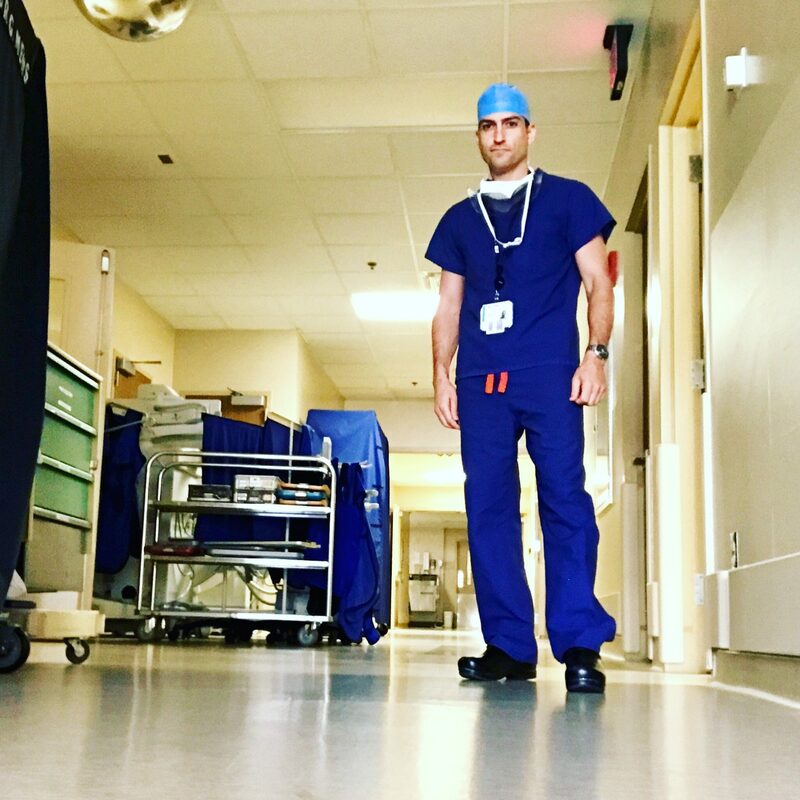 Dr. Buck, I’m a 39yo man who was very physically fit prior to hernia repair surgery. I was accustomed to 5-6 intense weight training sessions per week. It has been eight months since my surgery, which was a simple open repair without mesh. I’m currently still experiencing increased pain and sensitivity after exercise. It’s as if my abdominal muscles are now stiff and inflexible. I can acutely feel a stretch at the incision site when bending backwards. I heard it can take scar tissue one year to remodel. Is this pain and sensitivity after exercise normal? I had an umbilical hernia repair 4 weeks ago. I seemed to be healing well and feeling good until I went back to work this week. I get sharp pains in my stomach around incision and there seems to be a lot of hard lumpy areas under the skin. Is this normal? The pain I think your experiencing is pretty normal. Just give it a rest after you have that pain and it should subside. The hard areas sound like scar tissue. If the pain persists more than a few days after resting, then you should see your surgeon. Dr. Buck I just had a question? I had a umbilical hernia repaired five years ago and I am 25 years old and I just recently got a personal trainer, and I just wanted to know do I have any limitation on abdominal exercises that I should not do? At this point there is no restrictions on your activity. I had hernia surgery almost two years ago, for the last 7-8 months I’ve been getting severe pains/cramping right over the belly button where the incision was, it almost feels like food gets stuck there. After several hours of the pain I will finally have a bowel movement…but these are few and far between. In between movements I usually have some mucus come out but there is no solid waste coming out. I was wondering if there could be some scar tissue from the operation pushing on my intestines or something like that. It sounds like you may have scar tissue trapping your bowels, or even another hernia. I think it’s wise to see your doctor to sort it out. I am having the same thing, I had umbiblical surgery and a fatty tumor removed at same time last sept. 29th. I have been in and out of ER from terrible pain in the belly button area and where the fatty tumor was taken out, lower belly. the pain is so bad, it seems like i am being cut open when i move my bowels and it goes on for days. It is like someone is pulling at them both areas. It is constant and i am constant nauseated. It also feels like a nerve is pulling in both areas too. Can you tell me what you think .. Most of the time I do these as an open surgery. The reason is because the open surgery usually has the same size scar or smaller than the laparoscopic surgery. 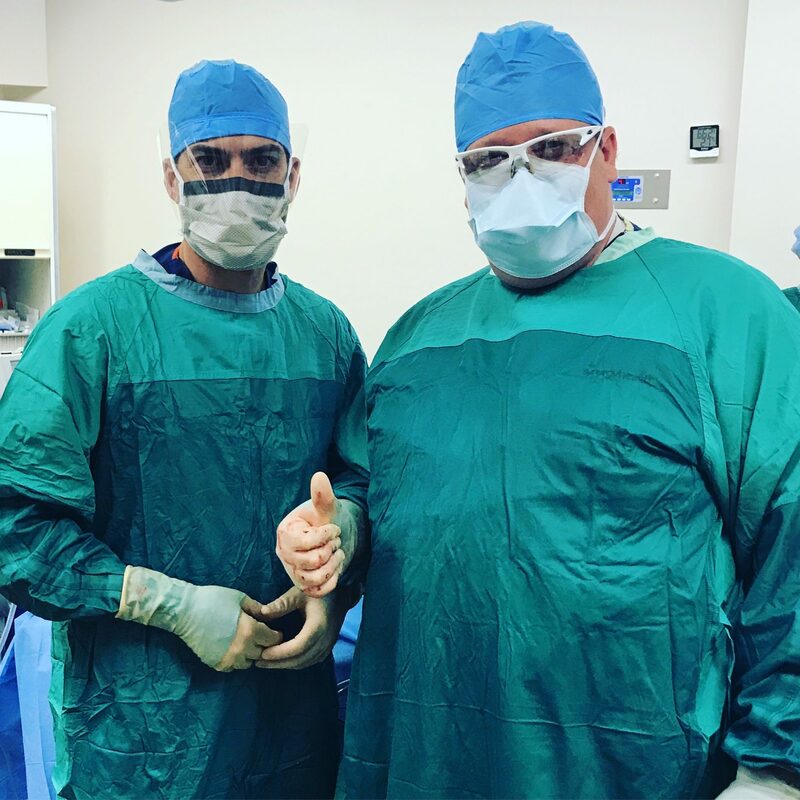 Umbilical hernias are usually pretty straightforward for General Surgeons and the laparoscopic approach usually will complicate the surgery more than needed…even in situations where there is a previous surgery. I don’t think you need to be overly concerned about this. I had an umbiblical hernia repair 3 weeks ago. Everything went well, it was relatively small. It leaked some orange/red like blood after a week but the doctor said a stitch must have come loose. Two weeks after my operation I flew to Spain for a week and totally relaxed. Since arriving home yesterday I have very bad stomach pain and bloating. Should I be worried? I had ventral mesh hernia surgery 2 weeks ago. It is healing up pretty nicely and most of the pain has gone away but some of the bulge is still left behind I guess this is normal. I have been swimming some and doing eliptical. But it seems everytime I exert myself hard I feel really nasueous. Is this normal as the guts are readjusting and with the mesh and all, or should I be alarmed? I had umbilical hernia repair 3 days ago. The incision is above my naval. I am concerned about the redness around my surgery site….shaped king of oval and extending 2 or more inches from center.It is a dark pink. I have called the nurse and she said to wait over the weekend and then call the doc on Mon…this is Fri. I have taken 1/2 or less the dose of pain med and hardly any today as I am not a pill taker. I am not running a fever or chilling. Is this typical? I have mesh inserted and the hernia was small. I am 60 years old and have stretch marks around my naval from 3 pregnancies. Sorry I’m getting back to you late! Hopefully you have resolved the issue by now and it was just a little bruise!